Nantz Cattle Company is a multifaceted cattle operation in North Central Texas owned and operated by Robert and Stacy Nantz. The ranch spans 75,000 acres located in numerous Counties. Operating mainly as a commercial cow/calf operation, the ranch also produces and sells quality purebred angus heifers, & young bulls. We raise our cattle as natural as possible on native and improved pastures. Our operation continues to expand; we are always looking to lease more land for grazing. We believe that being a good rancher means being a good steward of the land. We feel it is our job to take care of God's land and creatures. Taking care of the land will in turn take care of the animals. ​Genesis 1:26. Then God said, "Let us make man in our image, and let them rule over the fish of the sea and the birds of the air, over the livestock, over all the earth and over all the creatures that move along the ground." A portion of our operation is run on owned land but the majority is leased acreage. We are very aware that landowners have different goals and priorities concerning their property; therefore, we strive to work with them to help achieve those goals. We will not only compete in lease prices, but will also place an emphasis on land/forage stewardship. We are always looking to expand and are interested in any land available for grass leases in Texas and Southern Oklahoma. 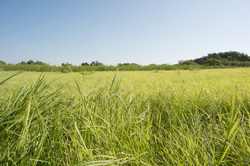 See our Management Practices page for details on our rangeland and forage monitoring systems. Our operation spans North Central Texas with our headquarters in Graham, Texas. In addition to running livestock, we provide several other services. We can provide day working, real estate sales/purchases, mineral leasing, or even ranch consulting. See our Services page for more information.